Leadership, regardless of whether it is on the national level, the local non-profit, or country club level, the responsibilities are the same. For the elected ones, it is to represent the will of the people, all the people, to the best of their abilities. When new leadership has received the ‘scepter,’ they should accept and respect the sacrifices and accomplishments of those who preceded them. They should take the time to listen and learn and take this knowledge and combine it with new ideas and methods to move the nation, non-profit, or social club forward. This is true leadership. The recipient of the scepter should understand that it is usually given reluctantly, often with resentment, distrust, and a certain amount of 'vengefulness'. However, in a democratic society, club, or organization, successful leaders have always found a way to bring the opposition back to the table. No leaders, at any level, can be fully prepared for the challenges and responsibilities before them. The first few months of a scepter pass is like a honeymoon. But soon, the honeymoon is over, and the marriage begins. A marriage consisting of difficult decisions, arguments, compromises, and solutions. At the same time, the new leadership must take the time to access those around them: their motives, methods, strengths, and weaknesses. The selfish and one-minded must be identified and removed or at least contained. The altruistic, they must be embraced because they show concern for the welfare of the entire group. The ability and need to bring those who feel disenfranchised back toward a common goal can never be underestimated. That is why those at the head of the table need to surround themselves with the best and the brightest. People who will challenge, question, and offer thoughtful opinions and solutions. A board room full of ‘yes’ people is a board room doomed to fail. However, often, the strain of leadership becomes too great for some. Advisors resign. Sometimes by their own accord. But, on occasion, at the request of those in control. The ones to watch closest are those who resign because they value friendship or allegiances to potentially destructive forces over what is right for the whole. Leadership. It can become a lonely pedestal. 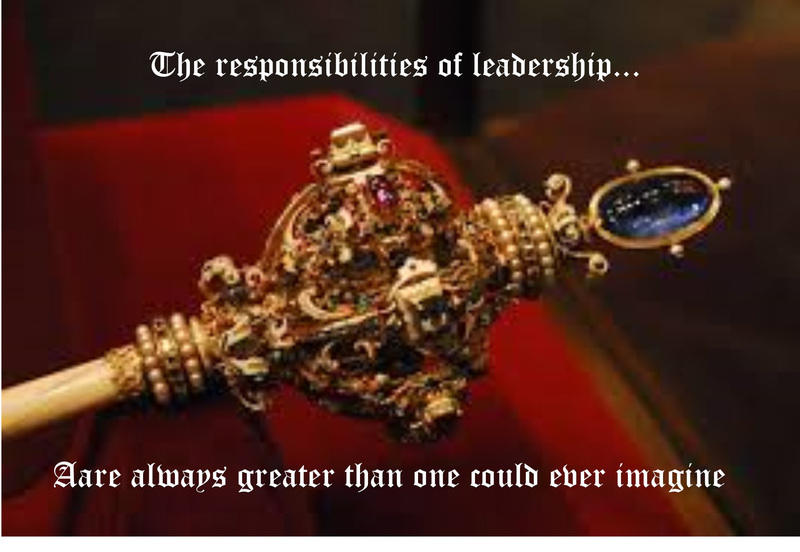 With the acceptance of the scepter, one immediately leaves the ranks of the membership and becomes the one(s) person others look to for rapid decision-making and implementing progressive ideas. Friends may become foes, based on decisions. Your time becomes their time, and they will not let you forget. The successful ones, they know this and accept the challenges and the demands of the office, as they unfold. So, what are the qualities of a successful leader? Before you really look at this chart, have your own personal example in mind: Your city government. Your church groups. Your Girl Scout troop. Your social clubs. Now, take each characteristic and apply it to your leadership, whether it is an individual or a board. 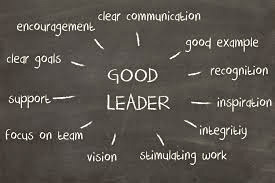 Before your scepter of leadership is passed, think about these characteristics and then cast your vote. If the scepter has already changed hands, use this as an evaluation tool for your leadership as they move through the different stages toward (hopefully) progress.